While working with Product development/Marketing team of Vembu Technologies which is a privately held, information technology company that specializes in developing software products in Backup, Disaster Recovery and cloud storage domains. 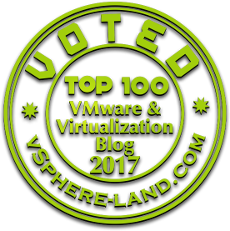 I got an opportunity to express my views as Guest Blogger on Vembu Blog so thought of dedicating an article about 10 things we need to know about vCenter Server 6.5 which majorly focusses on VMware vCenter Server 6.5 new features and functionalities which are available as part of VMware vSphere 6.5 release. Quick Overview about features and functionality we need to know about vCenter Server 6.5 as highlighted in the article. vCenter Server High availability which can be achieved by creating multiple vCenter Server Nodes (Active,Passive and Witness nodes). Enhancements been made to Watchdog Service. 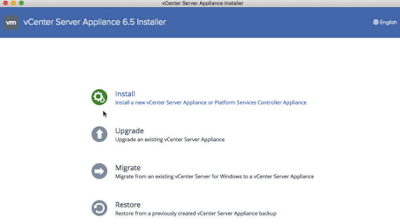 Integration of update manager with vCenter Server appliance. Embedded and External deployment methods for Platform Services Controller a.k.a (PSC) and vCenter Server. File Based backup and restore for PSC and vCenter Server. API enhancement for better Virtual Machine management and automation capabilities.